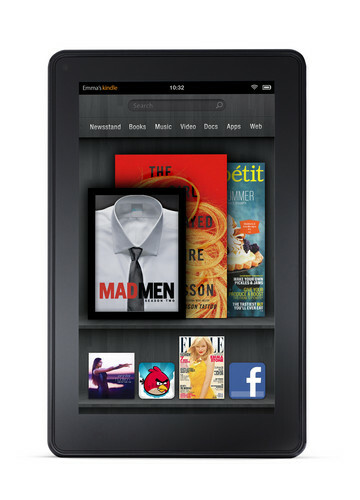 Some tips and tricks I have collected about the Kindle Fire. Most of information listed here I have found on the internet and have tried to give back links to the original posts. After receiving the Kindle Fire I first tried to connect the device to my home wireless network. The Kindle Fire would not find my 5 GHz network, so I tried adding it manually, and again no luck. I found the following article that explains the chipset in the Kindle Fire does not support 802.11a / 5 GHz, bummer! Evernote is an application I like to use on my Win 7 laptop and I was very excited to see this app available for the Kindle Fire. After installing the app on my Kindle Fire I went to the browser to test how to copy text into a note and found this on a Kindle Fire help forum. Not a good feeling when your device freezes up and you’re not sure what to do. The only button on the device is the power button and hitting that does nothing, now what! Step 1: Hard Reset: Press and hold the power button for 20 seconds and then release. Step 2: Tap the Power Button: After the first 20 second hold of the power button wait about 1 second and hit the power button again. I received the Kindle Fire screen for about 20 seconds and then my regular login screen showed up. Nice app to browse and manage the folders and files on the device, and ES File Explorer is a free app available in the Amazon app store. Awesome instructions with screen shots that explain the two ways to transfer and read PDF files on the Kindle Fire. To clear out all the tabs at once, you can touch one tab, hold down on it and then select the option to close all tabs from the pop up. You will then have a fresh browser with no open tabs. Sorry, no link on this tip and not sure where I found it. Some great instructions to convert ebooks or PDF files to mobi format and transfer those files to the Kindle Fire for reading. Need the data transfer cable to transfer files from the Calibre program on your laptop to the Kindle Fire device. Cable is not included, but it is under ten dollars online from the Amazon Kindle accessories. This is just a handful of tips I found useful, and there is plenty of other tips for the Kindle Fire beside the ones I listed here. Drop me a comment on you favorite tip as I’m always looking to learn new ways to use the Kindle Fire device, and come back next week as I will post some security settings for the Kindle Fire to help protect the device. Every wireless network has a service set identifier or SSID, which is the name given to the wireless network. The SSID is used to distinguish wireless networks from one another. Small office home office (SOHO) routers come from the factory with a default SSID and owners of the SOHO router should always change this default SSID name to something of their choosing. Along with changing the SSID name another very popular setting for individuals to enable on the router is to not have it broadcast the SSID or wireless network name. Hiding the SSID requires more overhead by the network owner to manually configure any wireless devices that need to be part of the network. Many network owners believe hiding the presence of the wireless network and configuring the devices that join it as a great way to secure the network, but this is providing a false sense of security. You’re not really hiding the network you are just hiding the network from advertising itself. A moderately skilled hacker with the right utilities can still find hidden wireless networks, and if there is no other security defined on the router you open your network up to several attacks. Anyone with knowledge of wireless networks can use free utilities downloaded from the internet to scan the airwaves and capture specific communication frames to discover hidden networks. Once the hidden network name is discovered, and assuming no other security is setup an intruder could connect to the wireless network and use it for free internet access. If an unauthorized person connects to the wireless network this would expose the other computers connected to the network. Any shared folders setup on your computers could then be browsed by the intruder and the data in them downloaded. Hiding the SSID has one attack method that most people are not aware of. When you take your wireless device to a Wi-Fi hot spot the device will try to search for your hidden network. Basically the device will be announcing the name of the hidden SSID to anyone that may be listening. If a bad guy is at the hot spot he could create a fake access point with the SSID that your device is searching for and then try to trick you or force your device to connect to his “evil twin” access point. If the bad guy can get you to connect to the fake AP it can open up your device to numerous attacks. This may not sound like a big risk, and so many people feel the public Wi-Fi network at their local coffee shop or cafe is safe, but I always recommend when you’re using a free wireless hot spot to treat that network as unfriendly. What I mean by unfriendly is free wireless hot spots usually have no security setup and they are just convenient portals for internet access. With hot spot networks having very little or no security setup it is a prime location for the bad guys to take advantage of unsuspecting victims, so don’t think your local coffee shop or cafe is not susceptible to these types of attacks. Regardless if your wireless network is hidden or not encryption should always be used. Encryption will scramble the network communications so they are unreadable by anyone capturing the traffic. The bad guy doesn’t need to know if a wireless network is hidden or connect to the network to capture unencrypted traffic, and this unencrypted traffic could be divulging emails you send, web sites you visit, and passwords you type into log in pages. Encryption is an important security setting to enable on your wireless network and should be setup on all wireless networks whether they are hidden or not. Used by itself hiding the network SSID does not provide adequate security, but using this feature along with encryption and other security settings available on your home wireless router will give you a more layered approach to security. The more layers or harder you make breaking the security of the network the more someone wanting to access it will move on to an easier target.